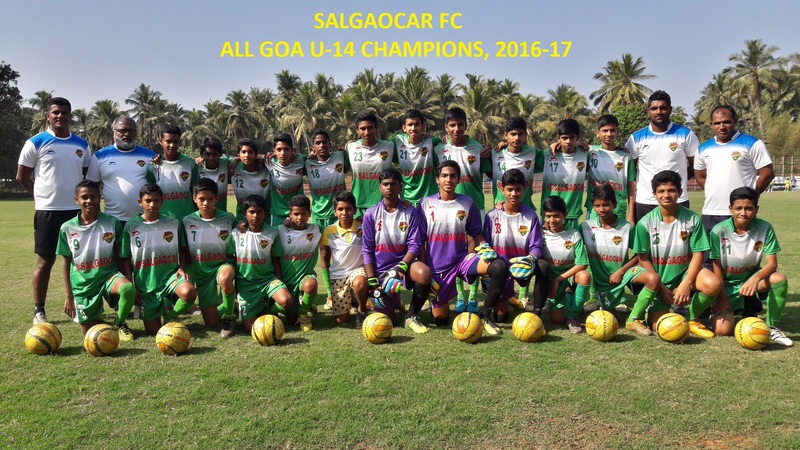 Salgaocar FC emerged Champions of the 2016-2017 season by beating Clube Sao Minguel De Taleigao 7-0 in the All Goa Finals played at Cansaulim. The Young Green Brigades had an excellent outing this season winning all the matches in the group stage. They faced Ave Maria Athletics and Walkers Club in the South Goa Finals, the match ended 1-0 in favour of Salgaocar FC as they claimed the South Goa Champs title.